Catford Gardens is an outstanding collection of 9 stylish two bedroom apartments walking distance from the 54 acres of Ladywell Fields. Every home comes with private outdoor space, while excellent transport links on your doorstep provide fast connections into London Bridge (11 mins), Charing Cross (22 mins) and Canary Wharf (25 mins). 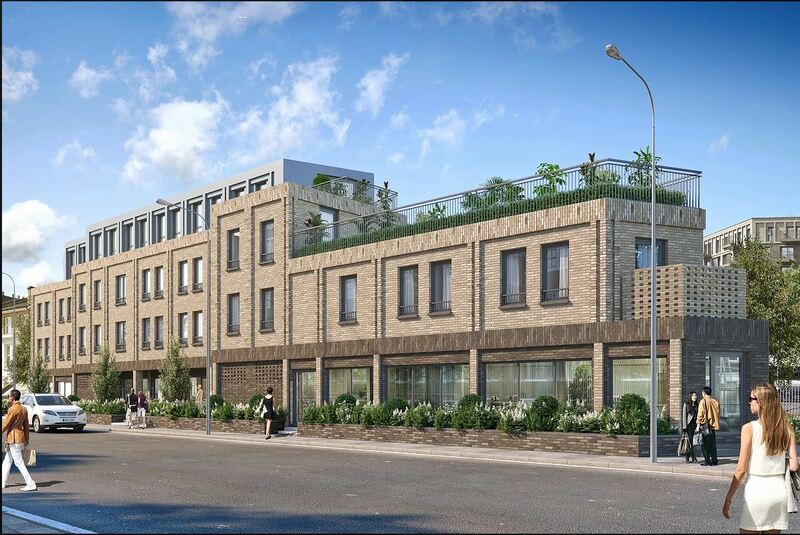 Catford Gardens is a stunning development of nine private 2 bedroom apartments. Flanked by two railway stations, Catford Green benefits from exceptional transport links into central London and further afield. Commuting to Central London is easy – the development is located next to two railway stations: Catford and Catford Bridge. You can reach London Bridge within 11 minutes, Charing Cross 22 minutes, Waterloo 23 minutes, Canary Wharf 27 minutes and St Pancras International in 32 minutes†. The proposed extension of the Bakerloo line from Elephant & Castle to Lewisham would offer two new stations in Old Kent Road, while a further proposed extension of the Bakerloo line from Lewisham via Catford and Bromley into suburban Kent would further open up the area of Catford. Infrastructure expansions have historically played a key part in property price performance, especially in the London property market. Catford is in the midst of a multi-million-pound regeneration – from new homes, community facilities and open spaces, to a redeveloped shopping centre. All making Catford a more desirable place to live and paving the way for capital growth on your investment. Catford is growing in popularity for buy to let investors, with demand growing as renters look to move to this well-connected enclave. Zone 3 is the new Zone 2 and can offer the best of both worlds. On the one hand, residential areas in Zone 3 are still reasonably near to Central London and offer a fast commute into the City. On the other hand, Zone 3 can feel a little bit more suburban and village-like, allow residents to escape the hustle and bustle of working life if they wish.